Wouldn't you like to give an assailant or attacker a nice little jolt? Do you work as a professional security guard and need to equip yourself with something that has the stopping power of a firearm but isn't lethal? Then a Taser® M26 or Taser® M26-C with a Taser® M26 Holster sounds like the self defense weapon you need. Wouldn’t you like to give an assailant or attacker a nice little jolt? Do you work as a professional security guard and need to equip yourself with something that has the stopping power of a firearm but isn’t lethal? Then a Taser® M26 or Taser® M26-C with a Taser® M26 Holster sounds like the self defense weapon you need. Taser® is the most popular brand name in electronic tazers. Taser’s M26 model tazer is used by law enforcement agencies around the world. This model was discontinued by Taser but a newer similar model called the Taser®M26-C is now marketed. Both models share the same type and design or carrying case, the Taser M26 holster. A tazer is an effective yet non-lethal self defense weapon. They are fashioned similarly to hand guns but are a non-lethal alternative. The Taser®M26-C produces a 50,000 volt charge rendering the target temporarily incapacitated. Unlike a stun gun that also administers a high voltage shock, the tazer itself does not have to touch the assailant. Instead the Taser®M26-C uses compressed nitrogen cartridges to propel two probes or electrodes up to a distance of 15 feet at approximately 180 feet per second. Once the fired probes make contact, the electrical charge delivered through the corresponding wires they are connected to result in and individual’s loss of neuromuscular function, balance, and the ability to move in a coordinated fashion. Taser® brand tazers are not considered a firearm and may be legally carried concealed or open in 43 states. Taser M26 holsters are specifically designed for this purpose. Tazer devices are prohibited from use by non-law enforcement individuals in the states of Hawaii, Massachusetts, New Jersey, Rhode Island, Wisconsin, and Michigan ( in Michigan, private investigators, bail agents, and properly trained aircraft crews may use them). 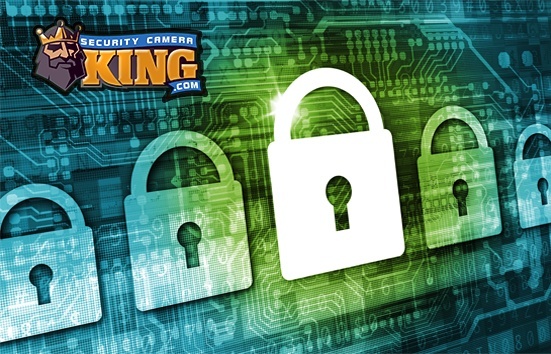 Security Camera King offers two different types of Taser M26 holster. We offer the Taser M-26C Blade Tech holster in both left and right handed models. These holsters allow you to carry the Taser M26 or Taser M26-C using the quick release patented Tek-Lok System. These holsters feature the convenience offered by a Tek-Lok clip that allows removal of the holster without removing your belt or straps. Security Camera King also offers right and left hand Taser M26 holsters that fit around your thigh and our secured by an additional strap to your belt. 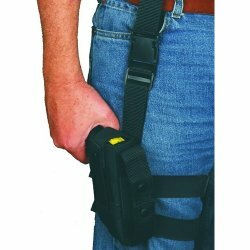 Generally used by most law enforcement agencies, this Taser M26 holster is made of heavy duty nylon as it is designed for heavy use. Taser M26 holsters not only provide you with a means of safely and properly carrying your M26 or M26-C but they also help you to protect it from loss or accidental misfiring. Both holster types are effective for carrying the tazer and are comfortable and easy to wear. If you are interested in purchasing a Taser M26 holster or a Taser M26-C tazer and holster combination, check out our selection on our web page under “Security Equipment.” then “Personal Protection,” and “Taser.” If you have any additional questions about the Taser® brand line of tazers and tazer accessories, contact one of our security experts by clicking on “Live Chat” or calling 866-573-8878 Monday through Friday from 9AM to 6PM EST.